Developing a formal Facebook marketing plan has many benefits. A marketing plan ensures clear, consistent brand messaging, helps avoid social media blunders, and provides a way to measure success. Facebook marketing plan templates are hard to come by on the web, and the ones that are out there aren’t necessarily comprehensive. The following is a summary of the comprehensive Facebook marketing plan template that I have developed, available for download below. The full document is 12 pages long and contains approximately 1,900 words that will guide you through the process of developing a professional, thorough, and comprehensive Facebook marketing plan. The full template contains explanations, suggestions, and examples for each of the above. 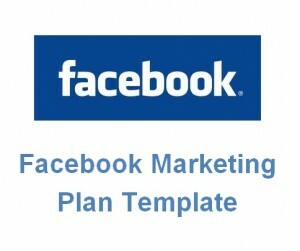 To download the full 12-page Facebook marketing plan template in Microsoft Word format, complete the following form. If you do not wish to be contacted after downloading the template, simply uncheck the checkbox. Need another format? Contact me and let me know what you need. Click here to download the LinkedIn Marketing Plan Template! 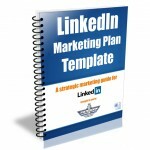 You may also be interested in the LinkedIn Marketing Plan Template.